Well, can you even reach it over snmp? Experiencing the same issue, fresh debian stretch install + latest cacti. BTW, solved this issue by enabling mikrotik plugin under console>configuration>plugins menu. Well Mine still wont work. 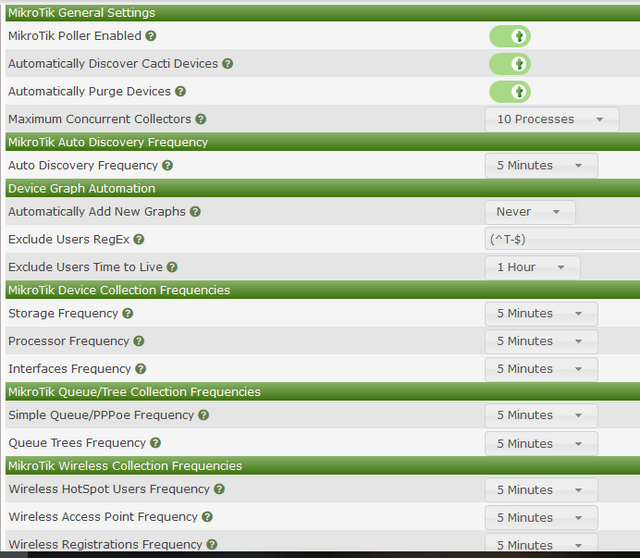 Settings -> MikroTik -> Enabled Poller, but also don't forget to set the collection frequencies for the various monitorable components. Already done it. But still not working. Did you import the packages? Also, are the devices added?